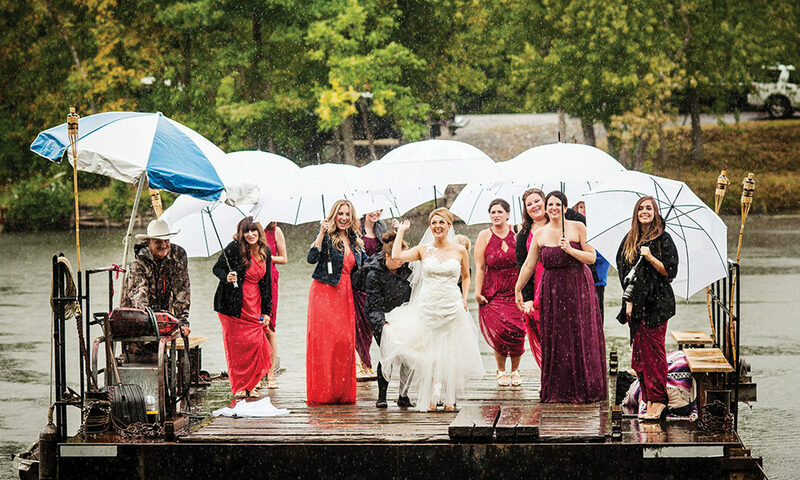 A barge, an island and a torrential downpour were the ingredients for a wedding nightmare. But that's when the fun really began. 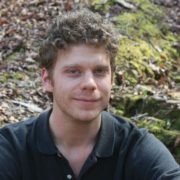 Before I wrote for saratoga living, I made my living as a professional guitarist. I taught lessons, performed at parties and worked my fair share of weddings. I’ve played them all: indoor and outdoor weddings, at a little wedding chapel, a big lakeside resort and even (once) in a botanical garden. Fortunately, I’ve never performed at a wedding disrupted to the point where I needed to use my guitar as an umbrella. Emily Eldridge Korn, who got married just outside of Saratoga Springs in 2014, didn’t have the same kind of luck. Raised in Kentucky but having spent her summers in Ballston Spa with her grandmother, Emily was a regular in our neck of the woods. “We’d go up to the racetrack in Saratoga and loved it,” she says. She met her future husband, Steven, while attending college in New York City, and the couple dated for seven years before getting engaged. Soon after, Emily began brainstorming the ideal location for a country wedding. “I just wanted a traditional, Upstate New York, fall wedding,” says Emily, who decided on mid-September for the event. 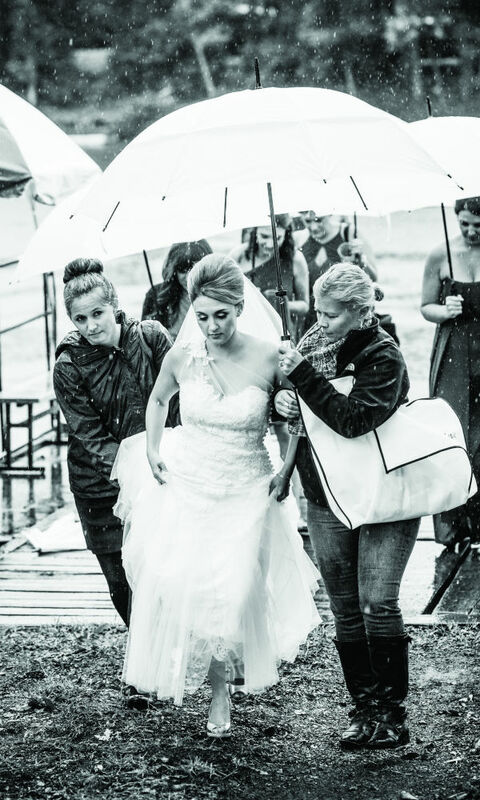 Now, if I ever find myself performing at a wedding and it starts pouring, I’ll remember Emily’s aplomb—and hope that there’s a cozy tent nearby.